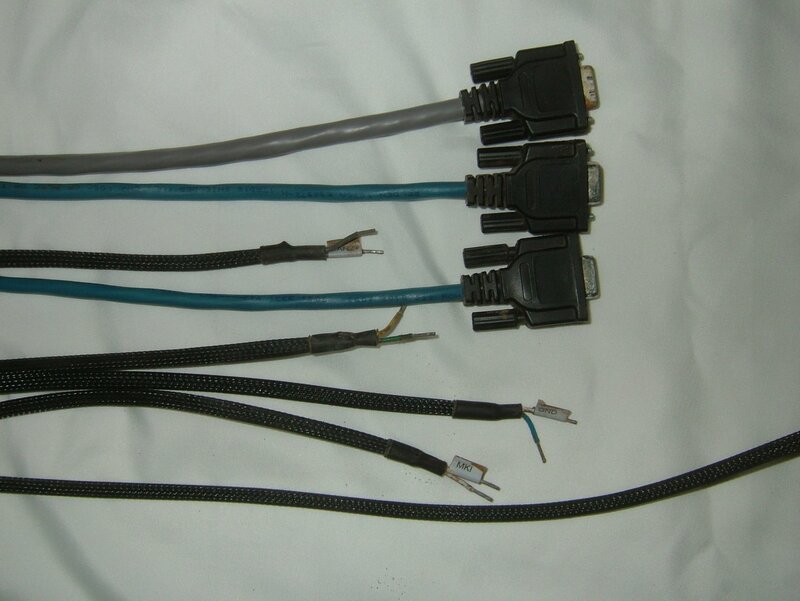 The evaluation cable for the NovAtel Smart-MR10 and Smart-MR15 receivers has three DE-9M connectors for RS-232 serial ports, and tinned wires for power, ground, emulated radar, MKI, MODE, PPS, and CAN. All signals are wired out in this cable. Not intended for permanent installation. All wires are 15 feet long except the power cable, which is 24 feet long. Note: if the MODE pin is not connected, pins 8 and 22 provide RS-232 access to the AUX port and COM1 has no flow control. If the MODE pin is tied LOW, pins 8 and 22 provide TXD1- and RXD1- for COM1 RS-422, and the AUX port is not available. 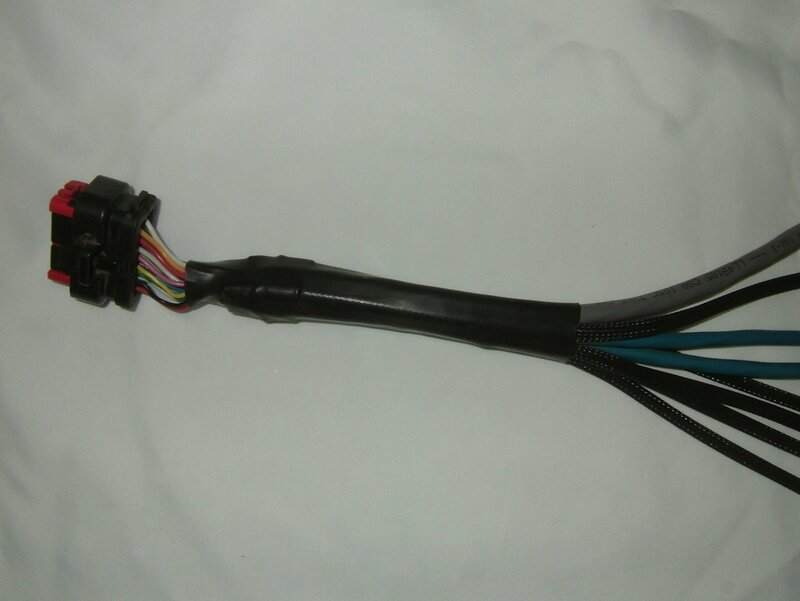 If the MODE pin is tied HIGH, pins 8 and 22 provide RTS1 and CTS1 for COM1 flow control, and the AUX port is not available.